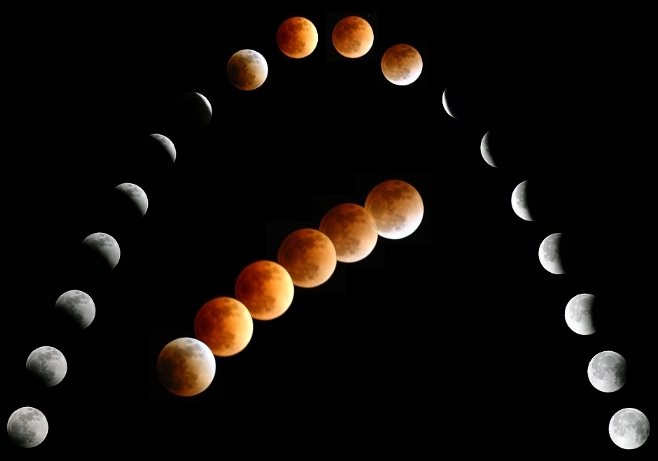 Today's Astronomy Picture Of The Day is beautiful: A Lunar Eclipse Mosaic. I missed this one for no other reason than we didn't get out. Was it viewable here in the US? I don't know if it was viewable in the US or not. But that picture is really cool.